Welcome to the Pixel Art Lounge! The concept of this thread is simple: post any kind of pixel art that you would like to share and get feedback on, whether that be sprites, tiles, or art not even related to fan games. Try not to focus too much on style choices, unless the poster mentions they're trying to imitate a particular one. It's pretty rude to only comment on how someone's work "would look nicer" if it were done differently (typically a more modern style, like saying gen 4 over gen 3 would look better). Be respectful and civil. This thread isn't an excuse to be rude to another person or to tell them their artwork is bad, be helpful instead. Hey guys, I know this isn't pixel art but I didn't know where to put this. 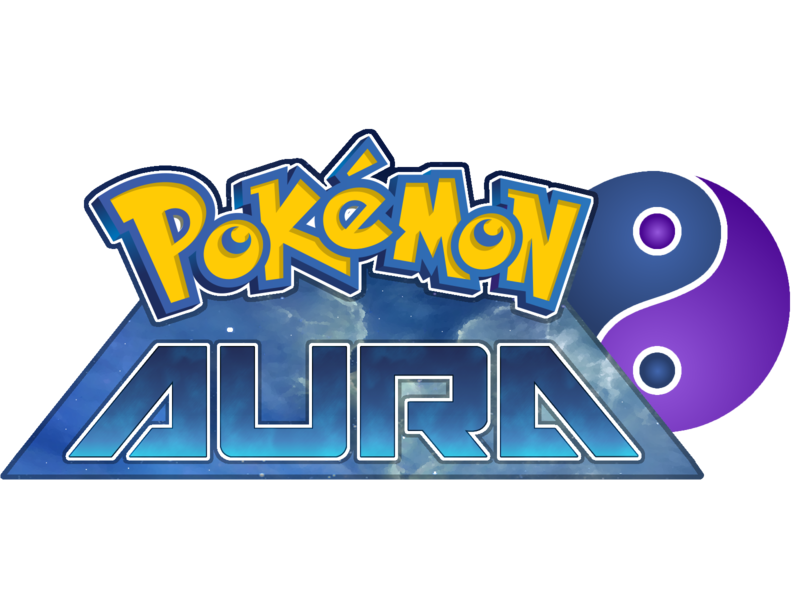 I made a new logo for Aura! I was wondering what your thoughts were. Please let me know if you like this new one better or the old one! @Fakemon123 I really like it! I love how the yin-yan symbol is actually integrated into the logo now instead of being to the side of it, I think it works a lot better. I have to ask though, what's the significance of the splatter behind the text? Is it just for show? If so and it doesn't hold any significance, I'd remove it, because it kind of just looks like it's randomly there and a bit out of place. @Fakemon123 The new logo looks fantastic! I agree about removing the splatter. If there's something I'd want to add, that is to add a silhouette for the final Ultimate Shadow Pokemon (for example, Pokemon XD has Shadow Lugia in its logo). You know what? This is perhaps just a coincidence but I currently help someone make XD Sequel too. It'd be great if we could collaborate to share some assets, but here is probably not the proper place to talk about that. Oh that's a great idea! I'll try that out! (Once I make the final legendary that is XD) And yeah this probably isn't the place, I'll PM you. You've probably already seen this before (it's literally my profile picture here), but here he is for feedback: Bowtie Kricketot! Bowtie Kricketot is going to be your partner Pokémon in a game that I'm making right now (not Forge). He'll be a Bug/Steel type. I actually rely like Cricketot and Cricketune, so I like this. The grass one is Boydleaf, the fire one Snakoal and the water one Splashplat. Hi thomasfan22! I really like the starters that you made. You can definitely see the potential to what they can become! I do see a couple of pixel errors, keep practicing! A tip that I would give you is that when sprite certain parts maybe google a picture of the body part you are trying to make. It can help a lot when trying to get the right shape. :yum Keep up the good work, looking forward to your future work! 1. The grass starter looks really well done and the shading looks really polished. I can't fault that one. 3. Lastly, the water platypus looks really cool as well. Like the snake, it looks a bit flat, though. Maybe you can try and do what you did with the grass one to make it look a bit more rounded. That being said, I'm not an art expert, so feel free to criticise my ideas. Good luck with your project! Wow! They look really good already, despite being unfinished. I really like the shading that you've used as well as the Duskull? mask you've put on its face. At the moment, the swooshing does look a bit abnormal in regards to the purple after effects, but I'm sure that when it's done, it will look really good. imo it's already very awesome of you wanting to animate your sprites. I have seen how much time and effort goes into actually animating a sprite from scratch, so kudos to you for actually pulling it off and making it still look very decent! It may not be finished, but it does have a lot of potential. But dude, do not animate with scratch ! Thanks for the tip! I'll be sure to look into those! It's really good for a first attempt. 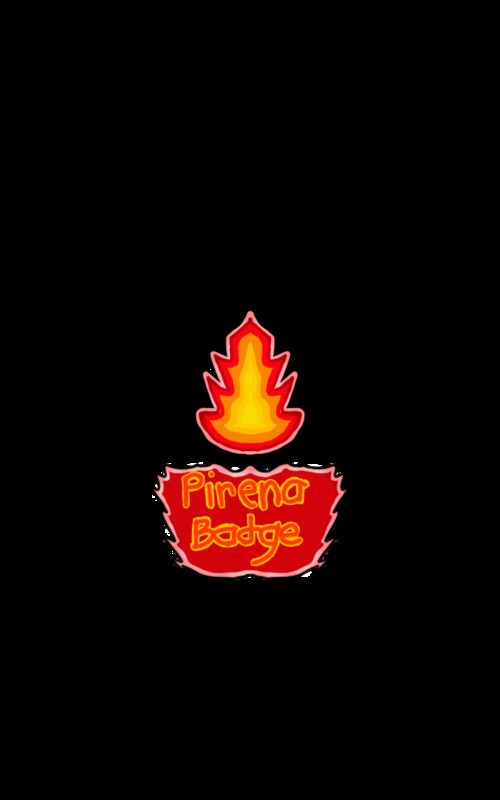 The flame symbol looks really well done and I like the detail you've put into it. The writing does look a bit messy, which is probably why badges don't have writing on them in the first place. I would recommend the writing to be typed to make it look better.